When furnishing a luxury residence or superyacht, a first stop must undoubtedly be Dedar, a company known for its striking interior fabrics, characterised by seductive colour palettes and unique patterns, as well as its exquisite wallpapers. 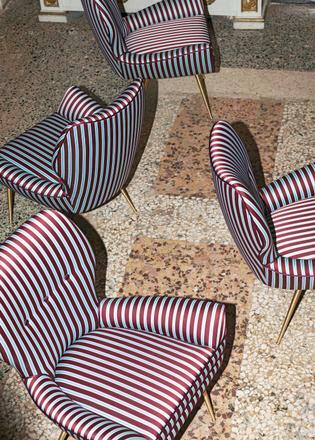 An acronym of DEsign D’ARredamento or “furnishing design”, Dedar was founded in the traditional silk district of Como, Italy, more than 40 years ago. What began as one family’s passion for textiles has since grown into a global interiors brand, now present in 82 countries. Today, Dedar travels the globe in search of the very finest textiles and inspiration for its own collections. The brand boasts a repertoire of some of the most creative and finely crafted furnishing fabrics, trimmings and wallpapers available. 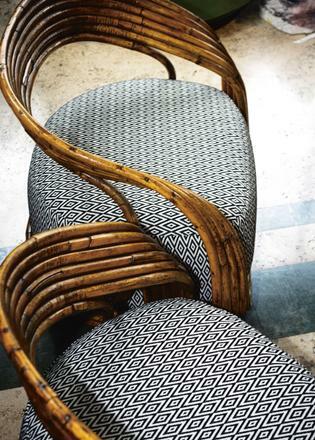 Combining contemporary innovation with time-honoured traditions, Dedar’s collections are characterised by a technical and aesthetic excellence rooted in meticulous research and artisanal production. Dedar retains an ongoing dialogue with the craftsmen and textile specialists versed in the techniques employed in producing the world’s highest quality fabrics, ensuring complete perfection in its products. Imbued with harmony and balance, Dedar is world-renowned for its unique ability to produce collections that are as pleasing to the eye as they are to touch, with the quality of the material, whether the softest silk or the most intricately textured brocade, apparent. Conceived to transform the everyday into a more luxurious experience, both inside and outside the home, Dedar’s collections comprise ranges developed for residential and contract projects, for the yachting and hospitality sectors, as well as for luxury retail destinations. Fabrics range from the most sumptuous velvets to the softest silks, interesting ikats to classically chic linens or contemporary geometric prints. 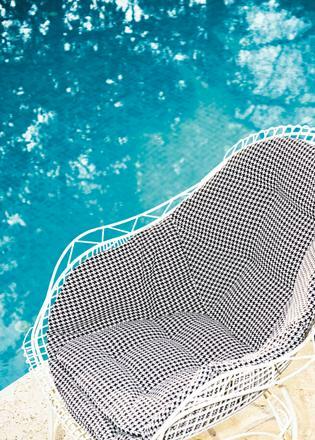 For your superyacht the options are seemingly endless too, with fabrics that can withstand the elements, and include the likes of Basquette, a chic chevron design available in a variety of colourways, and Pool, with its houndstooth check motif, available in three monochrome shades. Both fabrics are designed for the outdoors and offer maximum resistance to light and weather conditions, withstand mildew, bacteria and abrasion, and allow for easy washing and stain removal. Dedar also has a division dedicated to custom-made fabrics. Here, the innovative company is able to create velvet and linen, as well as technological and outdoor fabrics that apply the traditional weaving methods and cutting-edge fibres for which the brand is known to the custom needs of designers and architects. It is unsurprising that they are the go-to for many of the top names in the industry. 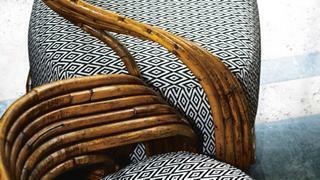 Notably, Dedar works with Hermès on the production and distribution of its furnishing fabric and wallpaper collections. Both brands share the same core values of a familial spirit and an enduring dedication to excellence, and the partnership connects Dedar’s experience and insight with the rich creative universe of Hermès. The collections designed under Hermès’ artistic direction are available from selected Hermès stores and through a specialist distribution network via Dedar. Whether you’re looking for the most precious of fabrics and wallpapers to ensure your interior signifies the utmost luxury, or you’re in need of hard-wearing outdoor upholstery that is stylish too, Dedar can deliver.